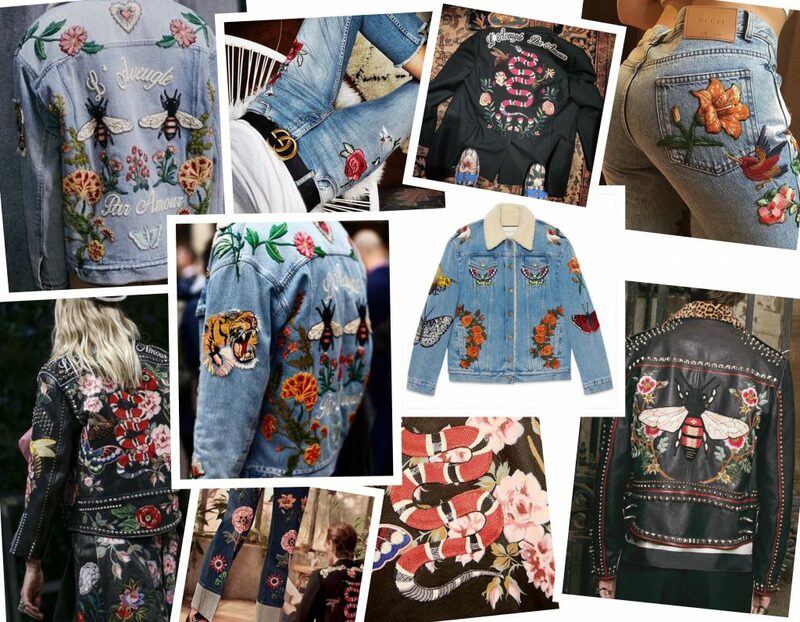 Both high fashion and fast fashion seem to agree, the patch trend is back! 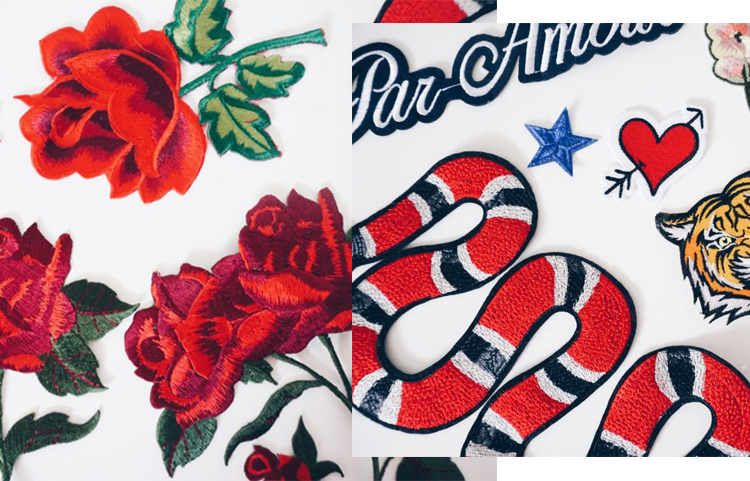 Embroidery may be everywhere right now, but it wasn’t until Alessandro Michele launched Gucci Garden that it caught my eye– the snake motif especially. I fell in love with the embroidered Gucci denim jacket, but I wanted something a little more personalized and less of a splurge and thus this quick DIY was born. This DIY is perfect for those who like the trend but want to incorporate a few more personal touches to it, or for those not wanting to spend full retail value on something they can easily make at home. 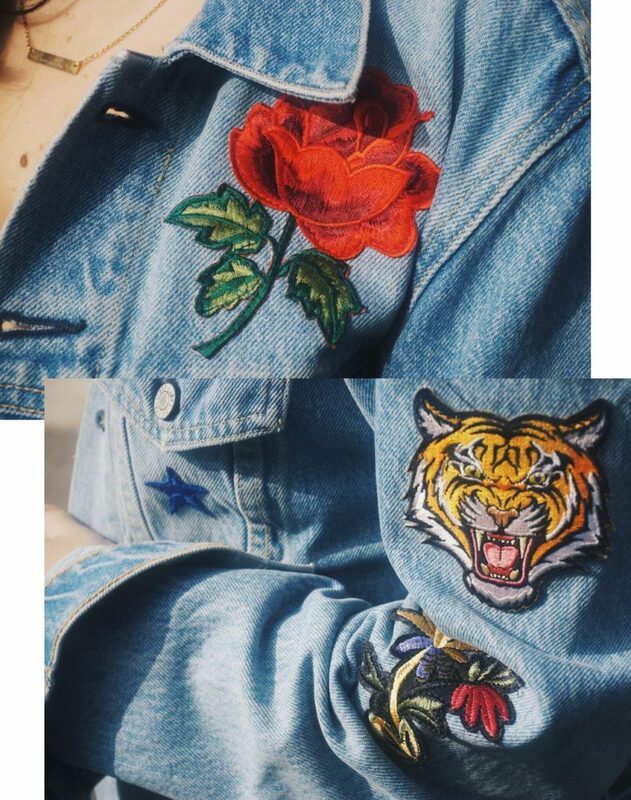 Some of my favorite details ended up being with the patches I collected over time while traveling or at the flea market, as opposed to the ones that were Gucci inspired! I also came across these posts by HonestlyWTF and Life With ME while planning and researching this DIY, and drew some additional inspiration from them. 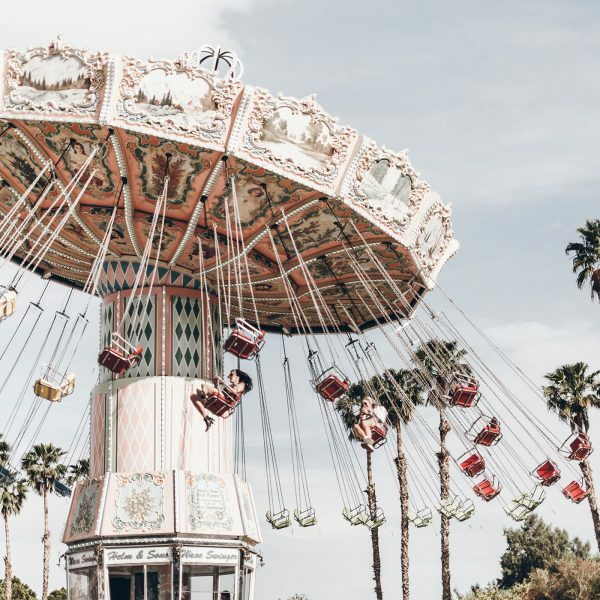 Giving credit where credit is due– check them out! 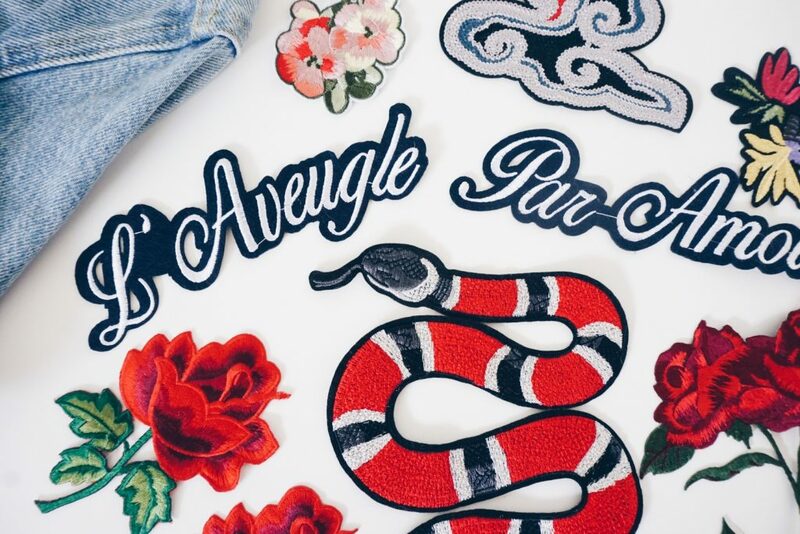 -Flea Market patches for an extra personal touch! 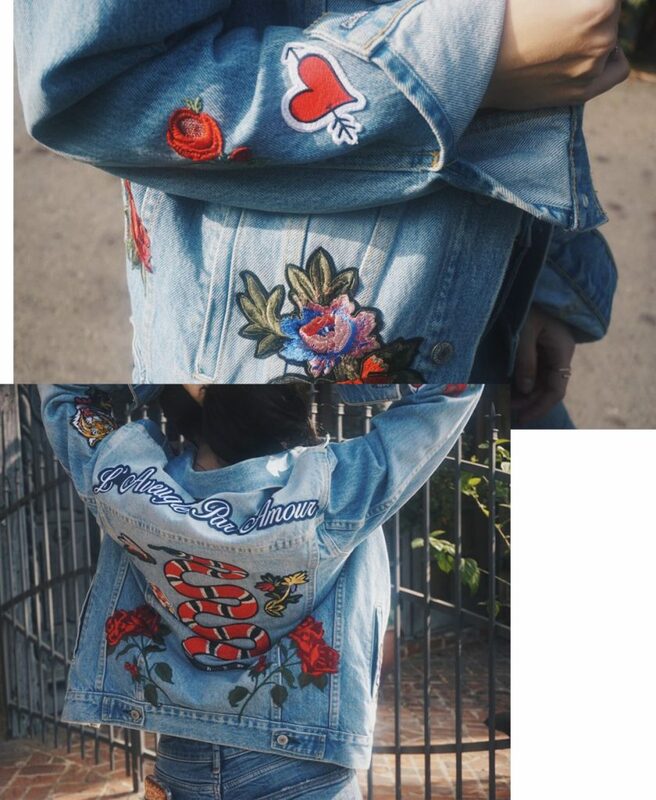 **Buy more than you think you’ll need, because sizing can be unpredictable and it can be difficult to plan out the jacket without the patches physically in front of you. Besides, it’s much more fun to have a variety and place them in person! 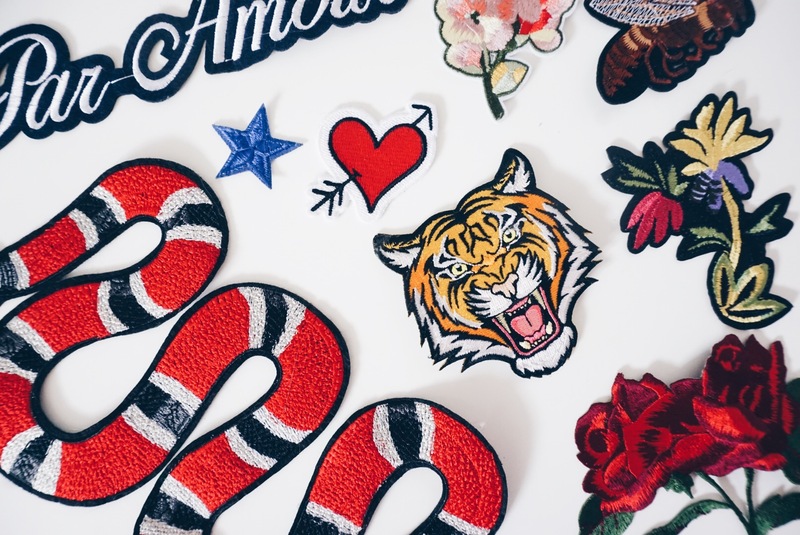 Not all patches are iron-on ready, especially if they’re from the flea market or Etsy. One option is to purchase an appliqué adhesive, like Steam-A-Seam, which you trace to sized stick to your patches. The other option, which I chose, is to skip the iron altogether! 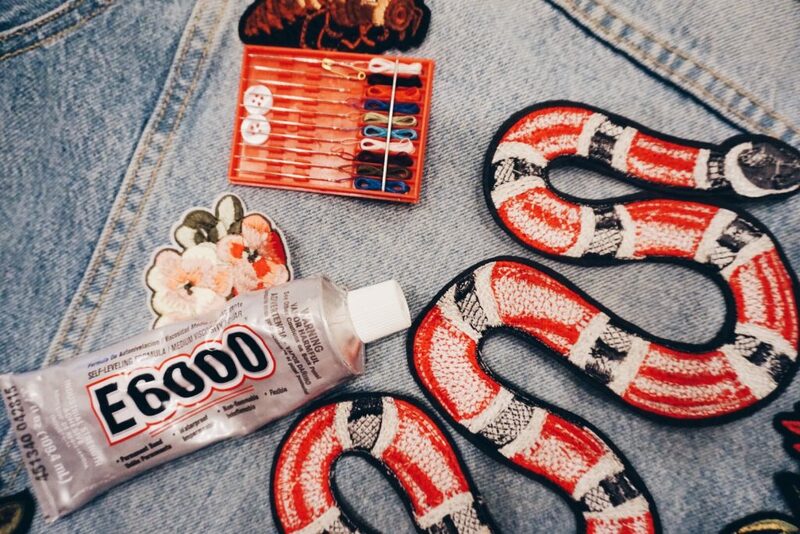 For those without iron-on backs I first used E6000 crazy glue, an industrial strength craft glue that adheres to fabric and is machine washable, to place my patches and provide an extra layer of sticking power. After allowing the glue to set for 24 hours I roughly sewed around each patch by hand (although if you’re nifty with a sewing machine it may be a big time saver). I opted for this method because I wanted to ensure that the patches would stay on and be secure, and simply ironing them wouldn’t have provided the same type of finish. 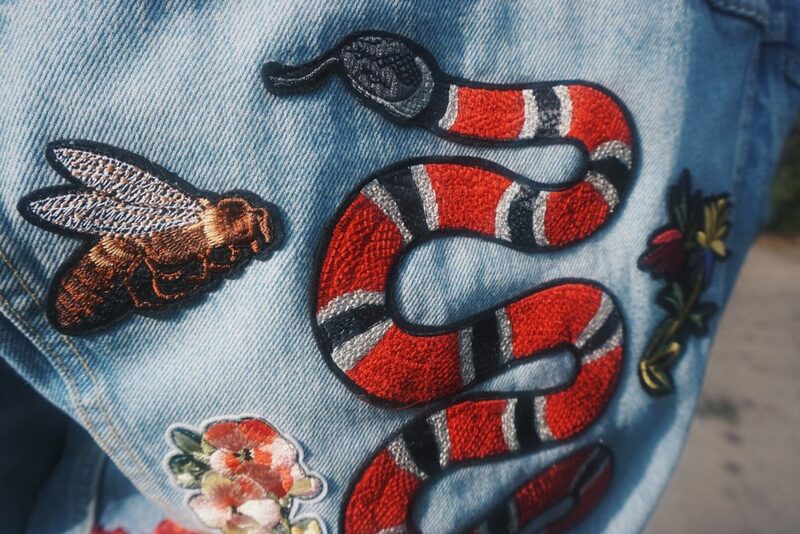 Visit the blog next week for a full post on how I styled my DIY Gucci Denim Jacket, and let me know about any great DIY’s you’ve been up to in the comments section below. It was very smart to save the $2,600 and to do it yourself! Plus now when the trend fades you won’t have lost all that money. 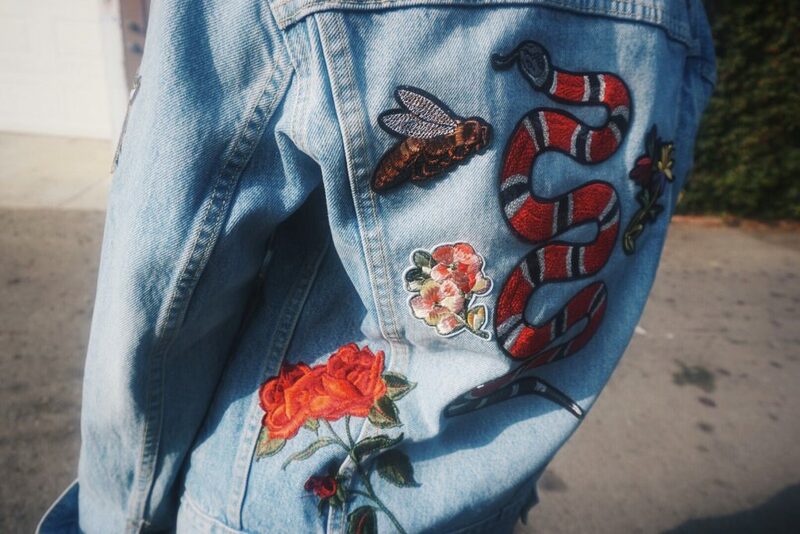 Cute jacket btw. 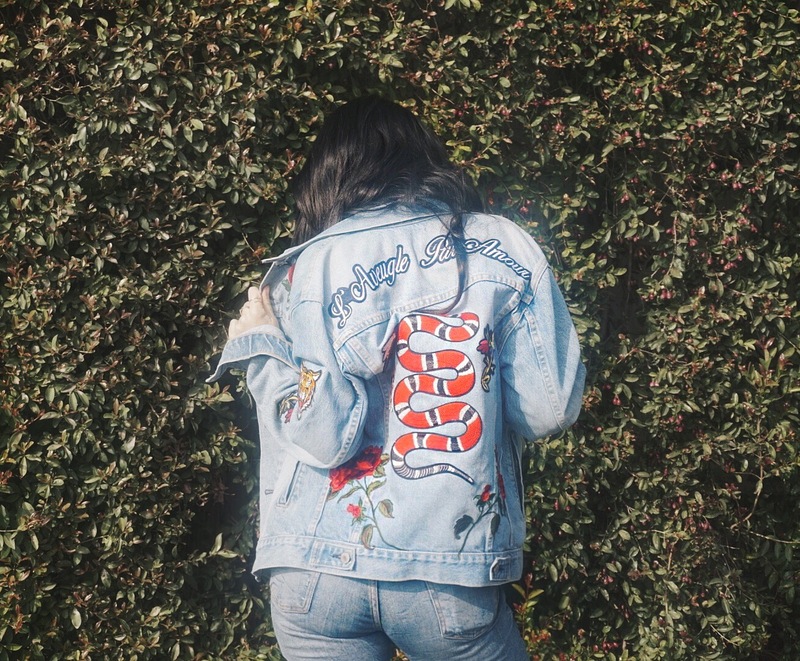 Love this DIY Jacket…so many savy and crafty ladies have made it themselves before the BIG Label made it cool!